Welcome back to the newest edition of our Kickstarters of the Week. This week we have 3 new games for you to check out. First, we have a sci-fi game about researching new technologies and attacking your enemies. 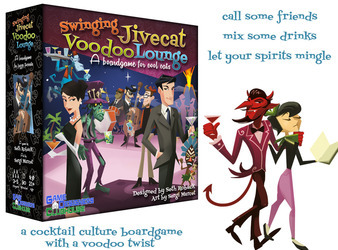 Then, we have a fun game with a crazy theme in Swinging Jivecat Voodoo Lounge that I’ve been hearing really good things about. 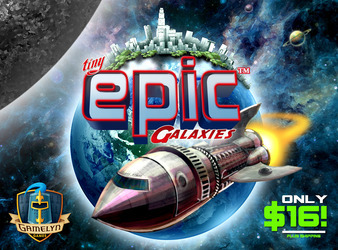 Finally, Tiny Epic Galaxies, the third in the line of “Tiny Epic” Games. Enjoy! 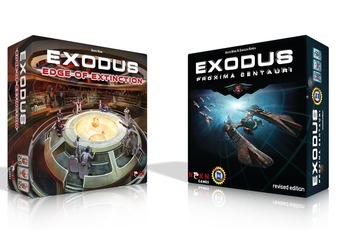 Exodus returns with an epic expansion. Research new technologies, expand your fleets, and bring your enemies to the Edge of Extinction. Sip your cocktail, warm up your power skulls, and get ready to score some magical monkey points at the Swinging Jivecat Voodoo Lounge! Tiny Epic Galaxies – The Universe In Your Pocket!